5th sentence, 74th page: He’d been out of the labs for ten years, but it had been ten years struggling to aid the survival of the breed communities. 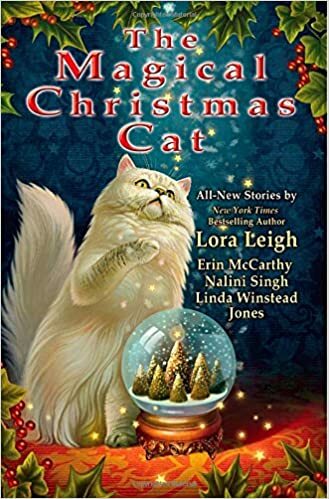 I was really expecting just another paranormal romance story that featured a cat shapeshifter. One that was enjoyable and full of passion, but not really anything spectacularly different to the other series I have read within this genre. Just this short novella taught me that this series isn’t even remotely what I was expecting. For starters, the background of the “extra” in the breeds was a far more intense experimentation. The sensual moments throughout were a lot more visceral and crass, in a way that I found more realistic than romantic candlelit dinners. And the unwillingness of Haley to completely submit and her consideration of what mating actually implied was far more realistic than being swept away in a fit of lust. I loved that although you knew Noble and Haley were going to end up together, there is a lot more placed at stake, and a greater storyline going on than just a simple romance. But, ultimately, what endeared me so much to this story was the fact that Haley explains just why she loves Christmas so much. And it is her simple descriptions that truly made me remember what it is about the holiday season that melts my heart.